It’s time to dust off the grime the winter weather left behind and get ready for spring. We all know that during the spring it’s a good idea to get some heavy-duty cleaning done to help prepare for the months ahead. But how does this affect your home’s HVAC system and indoor air quality? Here are a few things you should do around your home to prepare your HVAC equipment for the new season. This is a chore you should do more than once a season, but it’s especially important during the spring. Dust, dirt, and allergens accumulate on your floors and all throughout your home after a long winter. Fortunately, this spring-cleaning to-do is one of the things you can control. Cleaning your windows and letting in some sunshine during these early spring days can actually make it feel warmer. Besides, nobody likes looking at and through dirty windows. 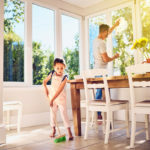 Windows and window seals can also collect dust and other contaminants and often times there is an air vent nearby which can stir these allergens around making the area unpleasant to walk through. A dirty filter is an ineffective filter. It’s always a good idea to change your filter, a minimum of once per season (every three months!) Just make sure you turn your equipment off before you change it or give your local professionals a call, and they can take care of it for you. There can be many things lurking in your ductwork. Call a duct-cleaning professional to get those ducts squeaky clean so you’re not breathing in unwanted particles that have been trapped in your ductwork. If you are worried about keeping your household allergens down, consider having an air cleaner or purifier installed so your home is guaranteed to be circulating clean air. These devices can even help keep asthma, hay fever and other airborne illnesses in check! 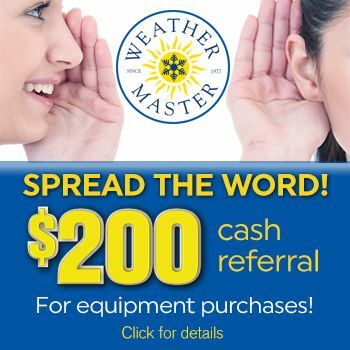 If you’re looking for local HVAC experts in the Raleigh area who can help you start your spring off right, then look no further than Weather Master. We’ve been in the business for over 40 years and would love to lend you a helping hand. To learn more about the HVAC services we offer, give us a call us at (919) 853-7910 or schedule an appointment online!